Mira is an island, just like the precisely trimmed bonsai centered on the fireplace mantel in her living room. Its crooked, tiny-leafed peak is an oddity, made even odder by the absence of family photographs or other memory-driven knick-knacks. The plant draws light from a slight part in the window drapes that allows a glimpse of Lafayette Square Park. A place that Mira never goes to sit to touch the petals of flowers or to listen to the laughter of playing children. Until the present moment, like her surroundings, her life has been perfectly contained. The piercing of Mira’s heart creates a swell of emotion. With each narrow breath that follows, she feels her honed existence wobble like unevenly layered bricks teetering on the brink of collapse. “It’s too late for this to be happening to me,” she whispers. At sixty-three, she doesn’t want the rush of a sixteen-year old pulling away from her first kiss nor the rapid beat of her heart clawing against her breast nor the blush of desire spreading across her cheeks. She looks out at the open green fields, checkered with large green bundles, then sprints down the porch steps to regain her balance. Except for the occasional plop of raindrops, it is quiet. Mira cherishes every splash that strikes her. She feels her blood pressure going down and her pronounced cheekbones returning to their honey brown coloring. Her thoughts spin backwards towards her journey to Noah. “Mira, really he’s no trouble. I would do it, but I can’t make that trip and get back to pick the kids up from school in time. Please, Mira,” begged Simon, her supervisor. Mira got up from her desk, knowing that he knew she would say yes because he knew she had nothing to rush home to, not even a purring cat or a nuzzling dog. Her office desk and walls, like her home, were empty of anything that showed a bond between her and anyone or anything. “My work load is already heavy. How far out is he? You know Baltimore traffic. I would have to time it just right not to get stuck in it,” she said, while busily shifting files on her desk. “Well, I do have openings in the mornings a couple of days a week.” Mira replied. “It’d be great if you could go out tomorrow or the day after. Whatever is good for you and Mr. Handy. Don’t forget to call him before you go to see if he needs anything. You know the routine. I did his intake. Here is his file. Thank you so much, Mira” Simon grabbed his jacket and waved good-bye. Mira stops mid field to take her soaked sensible shoes off. The wet grass and moist dirt between her toes stabilize her racing mind. Somewhere in the distance farm machinery starts up and the loud thrumming of the engines directs her thoughts to her first trip to Noah’s home four months ago. Traffic hadn’t been a problem that day. From her apartment in West Baltimore to the tiny town of Granite, it had taken an hour. She’d crossed the border from the constant city buzz to the country calm with ease. She recalled their conversation the evening before. “You say your name is Mirabelle? That’s an interesting name. What does it mean?” He asked in such a strong, sonorous voice that it made Mira wonder if his age, seventy-two, was recorded right. “My momma told me it meant wondrous. I was the last of five children and the only girl. Please feel free to call me Mira, everybody does.” The slight twinge when she said her full name came from knowing that her life had been anything but wondrous. After the age of nine, her life resembled the sparklers she’d lit up with her brothers on warm summer nights. An intense build-up. An incredible spray of light. And then nothing. “Your momma must have been real happy. Sure, you can come on by. I’m pretty much always here since my accident,” he said with a mix of weariness and excitement. “Nah, just the company will do just fine. Thank you, Miss Mira, for taking the time. See you tomorrow. Let me give you the way here from the highway. It’s pretty easy to get here.” As she busily scribbled down the directions, Mira noted his his steady, uncomplicated flow of words. The files, on the seat beside her, held everything tangible about Noah Handy. He lived alone. He had two sons who lived in California, one in San Diego and the other in Los Angeles. The son from San Diego had called the county looking for services for his father, since neither he nor his brother could leave their jobs and families to care for him after he broke his leg. The intake form said to check for depression. His son stated that Noah was a farmer, one of the oldest black farmers in the county and a very proud man, but could be difficult. Mira was to survey the state of his home, check his refrigerator and pantry for food, note his medication usage, and somehow lift his spirits. Since she’d joined RSPL, she’d learned that the routine was the same for all. She just needed to remember names and find some way to make them smile. It was a predictable fit for her regulated life. No sloppiness of attachment. No fear of surprise. Nothing out of the ordinary. Noah had been peering out of the front window when she’d pulled up. He waved her into the updated farm house with two waiting rocking chairs on the porch. Mira opened the door and went in as Noah was trying to grab his crutches. After taking a seat on the couch, Mira looked over at Noah’s smiling face and felt something inexplicable move inside of her; although perplexed, she didn’t let it ruffle her business demeanor. He simply wasn’t what she’d expected. The cast on his right leg seemed to elongate his lengthy frame; he had to be at least 6’3″. With massive shoulders and a lean body, Noah looked as if he could plow a field with no problem. His full head of tightly coiled hair was salty gray. Mira thought that if they’d had a black Marlboro man, back in the day, Noah would have been that man. He was handsome and rugged, with tender, penetrating light brown eyes. “No, thank you. I had my coffee and a bagel on the ride up. You have a beautiful home.” She took in the intoxicating lemony smell that seemed to emanate from everywhere. “Thank you. I built this house and made most of the furniture you see. I’m sure you can smell the polish. I wipe each piece down once a week. Can’t do much else with this bum leg. My sons had a contractor come and help me spruce the house up a bit a few years ago, after my wife Doreen died. That’s when they made a bedroom down here for me, because I was getting up in years. I guess they were right,” Noah said as he eased back into an extra wide recliner. Mira knew it didn’t sound right. Wasn’t right. She looked away from him and then around the room. It had everything her home was missing, but that she’d never missed. Walls of family portraits. Handmade doilies on every table. Thick woven rugs positioned on the wide wooden planked floors in the living room, in the dining room, and in the kitchen. The open floor plan was light and airy. Its homey character brought memories of her childhood home in Western Pennsylvania. A time she had carefully painted over until it was a milky white memory. She shivered. Over the next three months, Mira learned much about the town of Granite and what Noah Handy liked to do. They often drove to town for a late country-style breakfast at a small diner. As his leg grew stronger and he was put into a walking boot, he took her on tours of his home town. A few old repurposed buildings in the center of town, when it was at the height of its dedication to the activities of the quartz monzonite quarry, seemed misplaced and forlorn against the backdrop of modern mini-mansions surrounding it. One day they visited the defunct quarry. Mira had laughed with Noah when he burst into laughter, as he told her how he would run, scream, and cry as a toddler when his father and grandfather came home from work covered in white quarry dust. It was like that, their time together. An easy ebb and flow of his past wrapped inside their present. It was as if they’d been two old friends meeting years later. Mira had come to anticipate Tuesday and Thursday as much as some people waited for Sunday morning. The weighty sound of the organ wafted through his deep baritone voice. His words were reverent, yet joyous. His manner was caring and slow moving like a calm sea. She learned about the workings of a sod farm, about his high moments and his low ones, about his family here and gone. He had lived a full life, at least fuller than hers. A sense of belonging crept up on Mira. She even started wearing colorful clothes on her petite frame, in lieu of her usual greys, blues, and black. In spite of herself, she was smiling more, except when he asked about her family, where she came from, why she never married or had children. At those moments, she would lower her eyes and quietly shrug her shoulders. Eventually, he stopped asking. Those three words mixing with the pungent odors from the surrounding soggy woods open her mind to the brisk black moment when solitude became her refuge. The deacon’s hands under her Sunday best dress. A skinny wide-eyed girl telling her mother what happened. What she touched and how she was told to touch it. The slaps that soiled and pummeled her heart. And the words … the words were the worst. At the age of nine, Mira had been assaulted twice. Once by the deacon and once by her mother. No one marked the end of Mira’s childhood. They forgot her laughter and the freedom of her movement. They didn’t notice the stiffness of her walk or the loosening of her clothes or her perpetually downcast eyes. And no one noticed the way her shoulders hunched up when the deacon laid hands on her at the altar on Sunday mornings. Mira disappeared with no one looking for her. Her tears fall in sync with the soft rain that has begun again. She bends over to quell a scream swirling inside of her, as she recalls the evil perpetrated upon her by two people mandated by God and nature to love and protect her. She remembers how hard she prayed for invisibility. She remembers the nastiness she’d tasted as she sat on the pew. She remembers the taunts of how weird she was after she turned inside, where she vowed to move through life without touching it or being touched by it. Now, her adherence to that oath feels like a straitjacket instead of a protective coat. She walks around gathering rocks of varying sizes to lay in a pile by the cliff’s edge before sitting down by the stone mound. Her scream splits the quiet. She screams again and again, until she is gasping for air. She begins hurling the rocks down into the quarry bed. With each pitch, she feels grace returning. The rain has stopped for the moment. A moment. It just takes one, Mira thinks. One to take away and perhaps one to give. Noah is sitting in a porch rocking chair when Mira pulls up. He stands and walks down towards her with his arms outstretched. Mira steps into his embrace as if he’s a dream she’d never had, but somehow had been waiting for. Author’s Comment: In the middle of picking up the pieces of a failed nineteen-year relationship, at the age of sixty, I found myself watching love stories. After watching a zillion movies, I was struck by the fact that only a very few involved older women and the aspect of mature love, and even fewer had an African-American female in the lead. During this period, I also went on long rides through the countryside to figure out my own future. One of the places I visited was Granite, Maryland. Through research I found out that Granite had had a significant African-American population. On my second visit, “Unlikely Arrow” started to emerge. Mira will be a constant reminder that closing yourself from the world is not an answer to pain and Noah will always remind me that it is never too late to transform and transcend. Clynthia Burton Graham is in her final year in the University of Baltimore’s MFA program for Creative Writing and Publishing Arts. 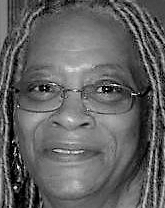 Her publications include poems in Catalyst Magazine and Thought Press, short stories in Pen in Hand Journal, Skelter Journal, and UBlock Zine, honorable mention in the 2016 Hurston/Wright Foundation College Student Awards Contest and second place in the 2006 Maryland Writers Association’s short story contest. She has also been a copyeditor for Obvious Magazine and the Welter Journal. Find out more at https://www.facebook.com/EverydayPeople365/. View More: Next piece "The Rampvan, the Skateboard and the Wheelchair", Home, Archive. My favorite aspect of your writing is the imagery, brings the reader into the narrator’s moments and experiences them with her. I nreeded this story on this winterly, blustery morning. A satisfying story that reads like a dream. Loved the screaming scene! Just lovely. Thank you for sharing it. Beautiful story, beautifully written. Shows what can be done with Romance as a genre when the author steers clear from cliche and seeks the greener pastures of a new demographic. Lovely warm voice. Pitch perfect – thank you! You touched my soul with this story. Thanks for sharing it!